It’s great when your work gets noticed. 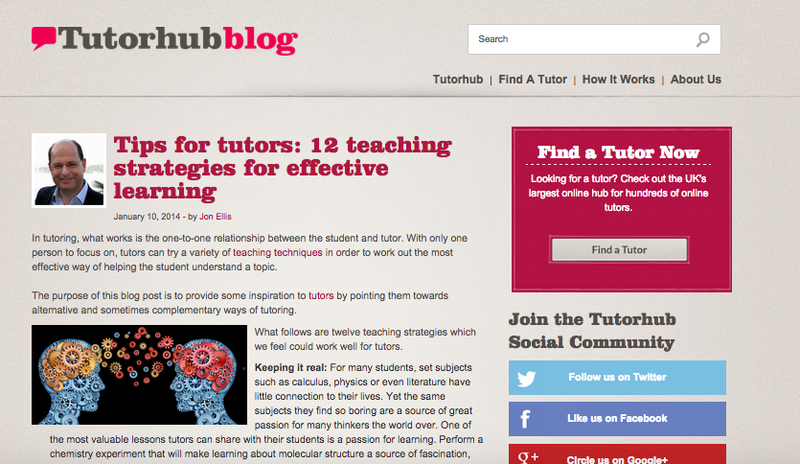 A while back I wrote a blog post entitled ‘Tips for tutors: 12 teaching strategies for effective learning‘ which has turned out to be quite popular on the internet, and highly ranked on Google. It was with some surprise and delight that I recently found that the article has been added to a list of recommended resources by Carnegie Mellon University – Leonard Gelfrand Centre. Good that my blog posts are being read, and even better if they can be of practical help to students. This entry was posted in Tutoring by Jon Ellis. Bookmark the permalink.